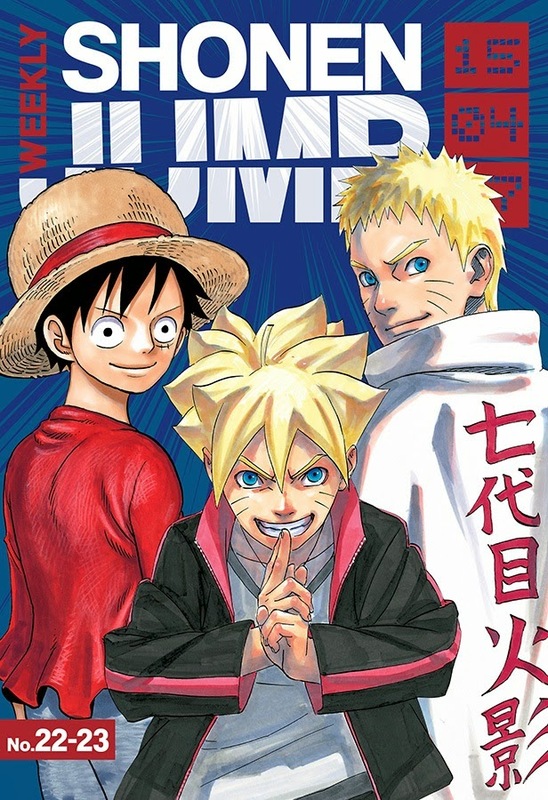 VIZ Media delivers fresh ninja action to manga readers as it announces the digital debut of NARUTO: THE SEVENTH HOKAGE AND THE SCARLET SPRING in today’s issue of WEEKLY SHONEN JUMP. The brand new, limited-run series by NARUTO creator Masashi Kishimoto depicts a new generation of shinobi and will appear in the English incarnation of WEEKLY SHONEN JUMP on the same day as its premiere in Japan. After a short break, NARUTO is back! And the story picks up right where the series finale left off. As the newest Hokage, Naruto's face now adorns the mountain behind the village. The same one he used to paint on as a prank when he was an attention-seeking kid! After his legendary feats, Naruto has gained the respect of everyone in the ninja world...except his own son. Boruto is as bratty and stubborn as Naruto used to be! How will these two ever see eye-to-eye?! WEEKLY SHONEN JUMP is published digitally each week by VIZ Media and features the latest installments of some of the world’s most popular manga series released to English readers across North America on the same day as the magazine’s general print release in Japan. Currently featured series include BLACK CLOVER, BLEACH, BLUE EXORCIST, FOOD WARS!, GAKKYU HOTEI, MY HERO ACADEMIA, NISEKOI, ONE PIECE, ONE-PUNCH MAN, SERAPH OF THE END: VAMPIRE REIGN, TORIKO, WORLD TRIGGER and YU-GI-OH! ZEXAL. More info is available at: ShonenJump.VIZ.com. In addition to the U.S. and Canada, WEEKLY SHONEN JUMP is available to readers in the U.K., Ireland, South Africa, Australia, and New Zealand at ShonenJump.VIZ.com and through the WEEKLY SHONEN JUMP App for iOS and Android devices. Additionally in North America, the free WEEKLY SHONEN JUMP issues are available via the VIZ Manga App and WEEKLY SHONEN JUMP App for iOS and Android devices. Annual 1 Year Memberships to WEEKLY SHONEN JUMP are available for only $25.99 (USD). Members receive 48 weekly digital issues as well as special premiums such as Yu-Gi-Oh! Collectable Trading Cards, rare one-shot manga releases, digital-only promotions, and access to additional subscriber-only content including creator interviews and insightful promo videos. (*Note: Yu-Gi-Oh! cards are only available to annual subscribers in the US and Canada.) Current subscribers can access their accounts via VIZManga.com, the VIZ Manga App, and shonenjump.viz.com or with the WEEKLY SHONEN JUMP App on iOS and Android devices.